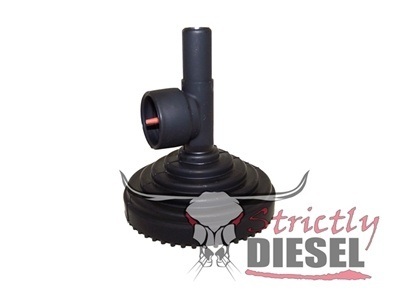 Driven Diesel Fuel Tank / Pre-Pump Kit (Hutch Mod)The Driven Diesel Fuel Tank / Pre-Pump Kit (commonly referred to as the "Hutch Mod") is the first step in the fuel system upgrade process. This kit includes all of the parts necessary to eliminate "air leaks" in the fuel circuit before the electric fuel pump (suction side) and add additional fuel filtration. Air in diesel fuel causes noisy operation and can damage the fuel injectors. This kit fits both the Super Duty Trucks and Excursions. NOTE: Some CAB AND CHASSIS trucks may require more than our standard 15' of hose. If you are using this kit on a C&C truck with a "behind the axle" fuel tank, please take a measurement from the fuel tank to the fuel pump (along the frame, the way the hose would route) and confirm whether the standard 15' hose length will work for you, or if you need the longer 25' length. This kit is only rated for B20 Bio-Diesel. 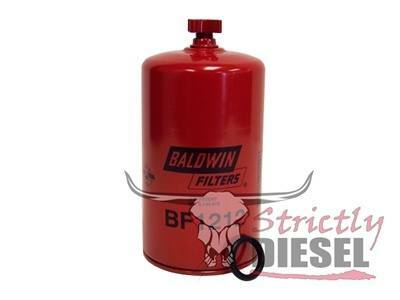 This is primarily due to the B20 rating Baldwin places on their filters and not the hose we've chosen to use. We are not aware of any appropriate pre-pump style filters that will work with higher concentrations of Bio-Diesel. If you are running Bio-Diesel, please be mindful of your filter service intervals and periodically check your hoses for signs of damage from the fuel. NOTE: We DO NOT OFFER this kit without the filter due to lack of interest from customers and the high importance of a quality pre-pump filter. This kit is NOT required with installations utilizing an AirDog or FASS. 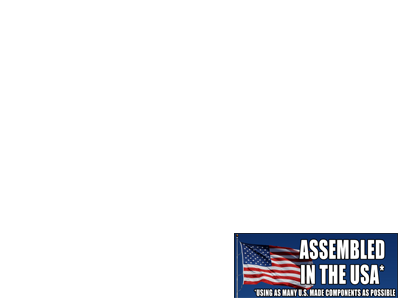 This kit does NOT fit the E-Series Van due to the different configuration of the fuel tank. Please do NOT attempt to order this kit for use in an E-Series Van. We do NOT make a kit for the E-Series Vans. Check out the cool ball valves in the "Related Products" section below, they make servicing the filters a much cleaner experience! 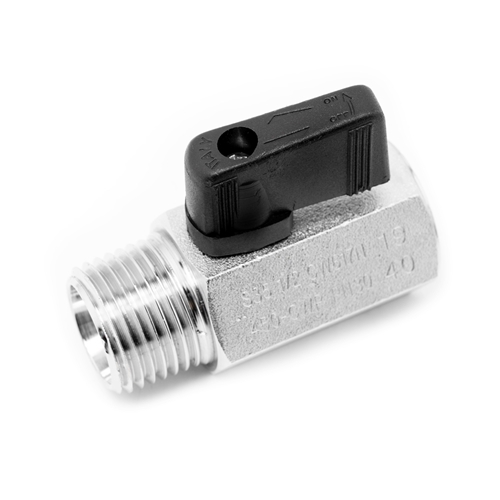 We recommend TWO of these valves (inlet and outlet) with the Pre-Pump kit. The Driven Diesel Fuel Tank / Pre-Pump Kit (commonly referred to as the "Hutch Mod") is the first step in the fuel system upgrade process. 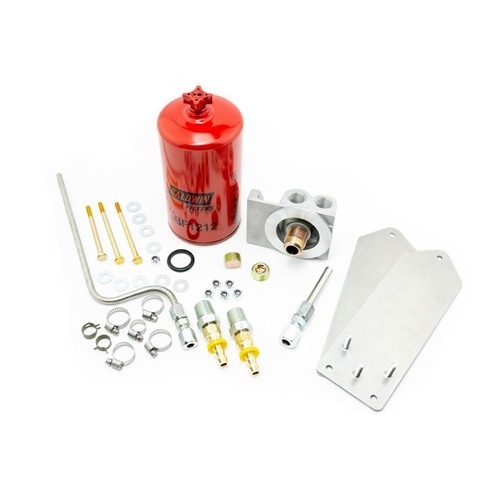 This kit includes all of the parts necessary to eliminate "air leaks" in the fuel circuit before the electric fuel pump (suction side) and add additional fuel filtration. Air in diesel fuel causes noisy operation and can damage the fuel injectors. This kit fits both the Super Duty Trucks and Excursions. After having problems with my truck and spending money on parts I did not need. Figured out the problem was caused by plugged fuel filters inside the fuel tank. I installed this kit in my 2000 Ford F350, 7.3. The kit has everything needed for the installation, the instructions are very detailed, easy to read and contain numerous illustrations in the way of actual pictures. I dropped the tank and moved out from under the truck and cleaned it , that was not hard either. I don't understand why Ford put the pre pump filters inside the tank. I did install the ball valves, they are high quality and perfect for the application I highly recommend this product, buy it with confidence. Very well put togeather kit. Everything needed to complete the job. Injectors are a lot quieter. Well worth the extra money over the other hutch mod kits offered from other vendors. Great kit. I installed this on my 2001 last weekend. Great instructions. The hardest step was actually getting the fuel lines unhooked-they are different than the ones in the instructions, no tool required, just a push tab. I would strongly recommend buying the fuel pickup screen when you order this kit, mine was in tiny pieces in the bottom of my tank. You don't want to find out you need it after you have the tank on the ground. Easy install, good instructions, and a well thought out kit. Helped quiet my injector cackle, and eased my scheduled fuel filter maintenance. My mechanic installed the mod for me. His comments were that this option was not only better than the factory setup, but that it was less expensive. I love getting better for less money! Great kit! Comes with everything including very good instructions. 02 F250 runs smooth and a bit quieter. Seems to run better all around. Also gained 4 to 4.5 gallons byou doing the suggested Harpoon mod. No more spilling fuel out of the filler neck. first mod that should be done on the 7.3. You can piece it together for a little less if you don't put a price on your time doing so. Straight forward install and better response from the X after doing so. Question:Yes I have been considering this KIT from StricklyDiesel as an option. One concern I have come across and need to resolve a good feeling about is this: Will the installation of a post-tank/pre-pump filtration set-up cause the fuel pump to fail premature? Reading about some of these installs has me concerned about the flow rate through the filter and the vacuum pull by the OE pump. 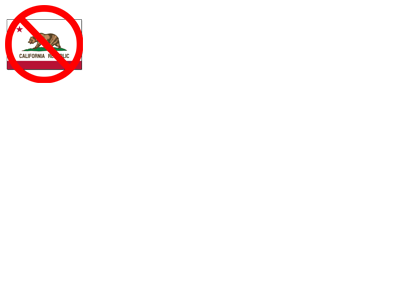 I am NOT doing a removal or elimination of the OE Fuel Bowl or any other fuel related mods at this time. Hello, I wonder if you will take the time to reply to me? Here is my question. If I do the Hutch and Harpoon Mods do you think I will cause my fuel pump to fail if I installed a post tank / pre-pump 20 Micron filter as I describe here? I have an issue with my sending unit which indicates my tank is full which I know it is was not. I was needing fuel the other night, so I put in $30.00 (about 10 gallons) and now the needle seems to stay a tad bit above the full mark. In addition, the truck seems to have started to act a bit sluggish and I am pretty sure there is a problem inside the fuel tank based on the info I have looked into via reading about this issue on this forum and some YouTube videos. So I am working up to the task at hand of dropping the tank and checking for the problem, and while in there will probably do "the Hutch and Harpoon" mods. I also am thinking I need to add a post tank/pre-pump fuel filter. I want to hear some feedback please? The post filter parts I have been considering using here are part numbers: Fleetguard 142784S Fuel Filter Head by Cummins Filtration (or mount head Fleetguard #3930618S); plus the mount bracket, Cummins Filtration.com part number: 3312054S; and a filter like the Fleetguard FF105. OR... the Stricklydiesel.com Hutch Mod Kit that is sold for $199.00. OK ... does anyone know what the micron rating is on the two small tube filters that I will be eliminating from the pickup on the sending unit when I do the Hutch Mod? And finally what do you think? Any suggestions here? I want it simple and I am not into fancy stuff or overkill, this is a work truck. Thanks! Response:Richard...your questions really should have been phoned in or emailed in to us. An FAQ like this is for answering simple, single questions. None the less, here are the answers. NO, the Pre-Pump filter is not restrictive enough to damage your stock fuel pump. It has a very high flow rating, many time more than the stock pump flows, so the only way it could create a problem for the pump is if it is neglected and allowed to become so clogged that it just can't flow any fuel. With proper maintenance and service intervals, this will not be a problem. If you are not removing your stock fuel filter from the engine, no other filtration is needed. If the tank sending unit is acting up, it is best to purchase a new one BEFORE installing this kit. Then, install this kit on the new sending unit assembly.